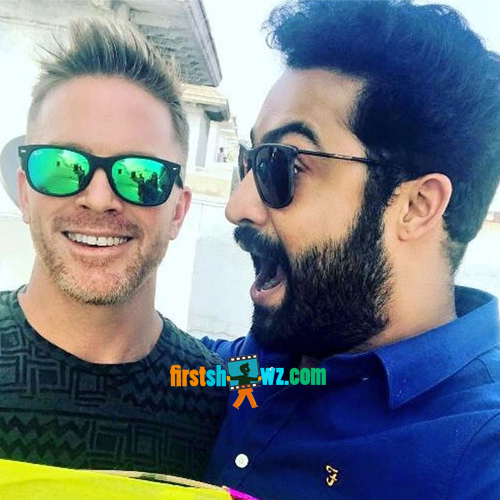 NTR wrapped the promotional activities of latest release Aravindha Sametha and begins prepping for Rajamouli’s multi-starrer #RRR. Here's NTR's Shocking New Look In Talk in Tollywood. Yes, NTR who sported six-pack look in Aravindha Sametha will be seen in another superb look in RRR. Llyod Stevens, Tarak's trainer met Rajamouli to discuss on the Young Tiger's look in the RRR and the team of NTR reveal that his look for #RRR will be a shocker though the unit didn’t reveal any details about it. There is buzz making rounds that Ram Charan is also working hard in gym for six-pack look. Both Ram Charan and NTR will begin shoot from December for RRR and the film will be formally launched from November 18. DVV Danayya is producing RRR under DVV Entertainments. Looks like NTR’s fans will get to see another visual treat this time too with the New Look!